Internships were the trigger for Augustin Vian, who discovered his passion for international work and the sports field through his first professional experiences. 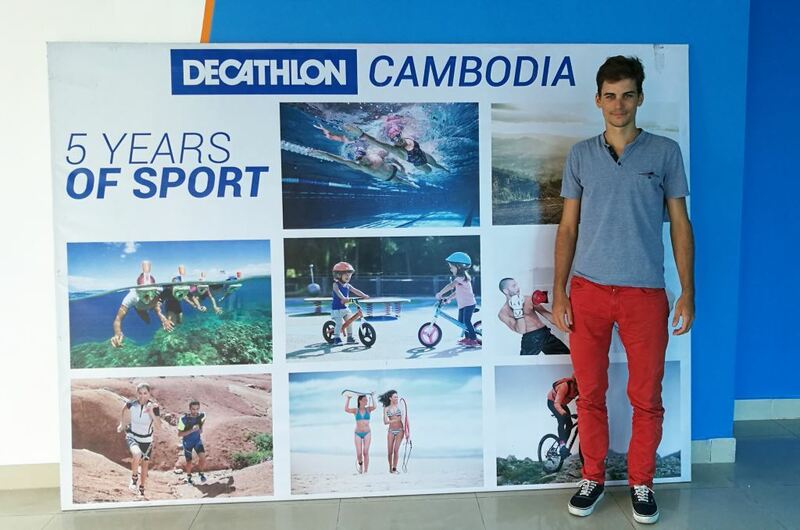 Even before graduating from the ECAM Lyon General Engineering Program, Augustin was hired as Supply Production Leader at Decathlon in Cambodia. I am from the Alpes Maritimes (a southeast French department), I enrolled the ECAM Arts et Métiers program in 2011. My first internship in Barcelona made me want to work abroad. The following year, I went to the Forum Rhône-Alpes, which connects Rhône-Alpes Region students with companies, to find my last-year internship. This is where I met the representatives of Decathlon, and they offered me an internship in their production office in Lille. I was in charge of finding suppliers for the Decathlon’s manufacturing, especially in Poland for metal transformation. I immediately liked the autonomy, the fast-growing responsibilities and the trips. They made me want to continue in this field. I then applied internally, to start an International Volunteers in Business (IVB) at Decathlon’s site in Cambodia. Even before graduating, I was hired as Supply Production Leader. I work with Decathlon’s providers in Phnom Penh in Cambodia. I oversee order management to allow the manufacturing of a wide range of products, particularly of the Quechua brand. As we prepare most of our order almost a year in advance, it is necessary to clearly anticipate the needs with the seasonal issues. We also have to make sure that the deadlines of the different providers are respected. This job requires a lot of organisation and rigour, both to anticipate everybody’s need for the coming year, and to follow the orders from start to finish while verifying that everything is going as planned. For that, I do a follow-up almost every day with providers and every week I go to the site of our main provider, while regularly staying in touch with France and others international clients to verify the commitments. We are increasingly working with China, which is a fast-growing market. Deliveries are also made to India, South America and, soon, Decathlon will establish a presence in San Francisco (USA). An advice for future ECAM Lyon graduates? For all of those who want to work abroad right after graduating, I have no hesitation advising them to do an IVB! It is a great opportunity both professionally and personally.